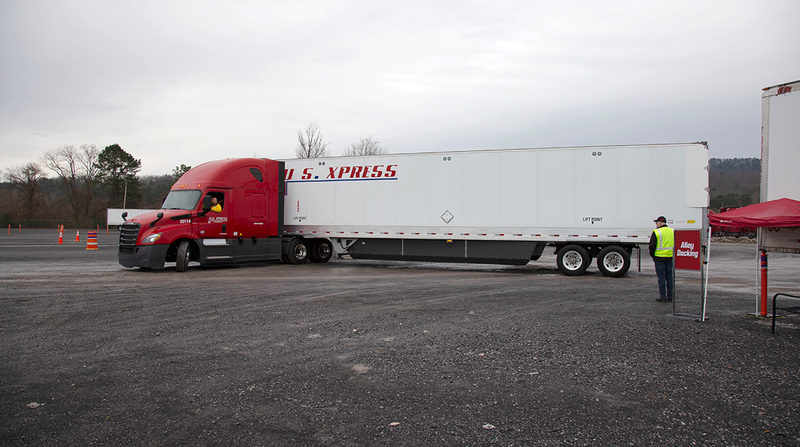 Truckload carrier U.S. Xpress has opened a driver training center in Tunnel Hill, Ga., that is unlike any other. The redesigned facility features a commercial vehicle learning lab where drivers can inspect and identify faulty equipment, use a high-tech simulator to practice driving in all weather conditions and brush up on their skills by accessing more than 150 training videos. The company’s goal is to equip drivers with the knowledge, skills and abilities necessary for a lifetime of successful driving, said Eric Fuller, CEO of U.S. Xpress Enterprises in Chattanooga, Tenn.
“Between our ‘full-ride’ scholarship program, first-day medical benefits and advanced truck technology, we are giving our greatest assets, our drivers, the tools to further grow and develop professionally,” Fuller said in a statement at a ribbon-cutting ceremony Feb. 20. Drivers can complete training assignments and refresher courses on their own time and at their own pace without lecture-style classroom instruction. U.S. Xpress ranks No. 21 on the Transport Topics Top 100 list of largest for-hire carriers in North America and No. 8 on the TT list of largest carriers in the truckload/dedicated sector.